The EchoPod DX10 Ultrasonic Level Sensor enables flexible design applications for system integration or retrofit of floats, conductance and pressure sensors. It is well suited for fluid handling and chemical feed applications integrating process or control automation of small tanks mounted on tools, skids or machines. The rugged PVDF enclosure is well suited for a wide range of corrosive, waste or slurry type media. Level indication can be monitored via a local display or controlled through a PLC. The EchoPod DX10 directly replaces contact measurement sensors with voltage output connected to PLC analog input card. It can be installed with no changes to existing control hardware or software for easy design conversion and field retrofit. It has a compact sensor with 2″ dead band and beam width optimised for small tank applications 1.25m or less. It’s use of frequency output (connected to PLC discrete input lowers cost by eliminating the A-D card (replacing the analog sensor) or reducing the number of required discrete inputs (replacing multi-point switches) down to one. 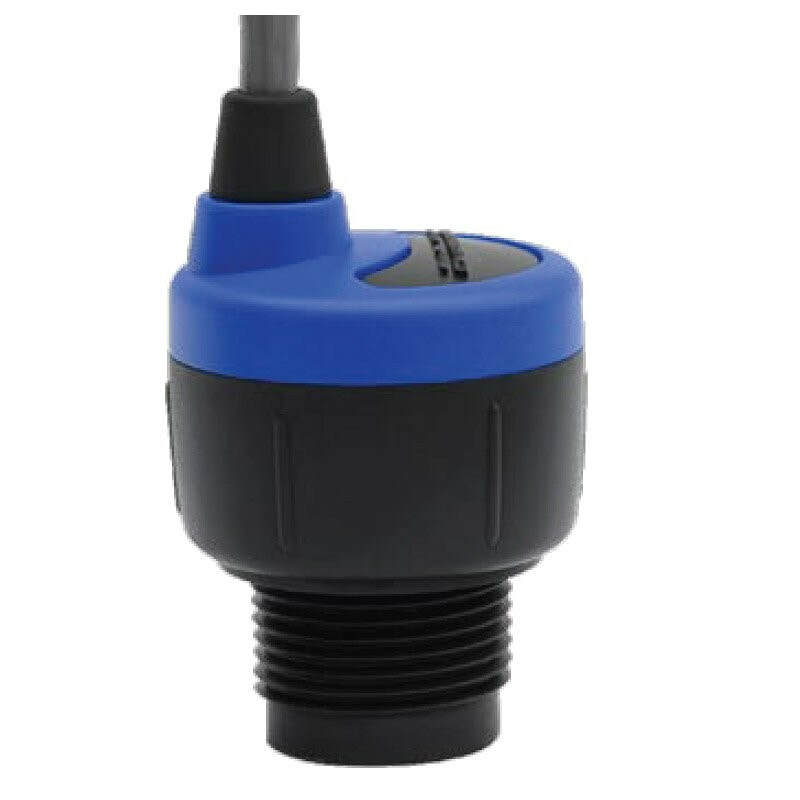 General purpose non-contact ultrasonic level frequency transmitter that outputs frequency or voltage for small tanks 1.25 m or less.